The before pictures were taken on February 6, 2017. 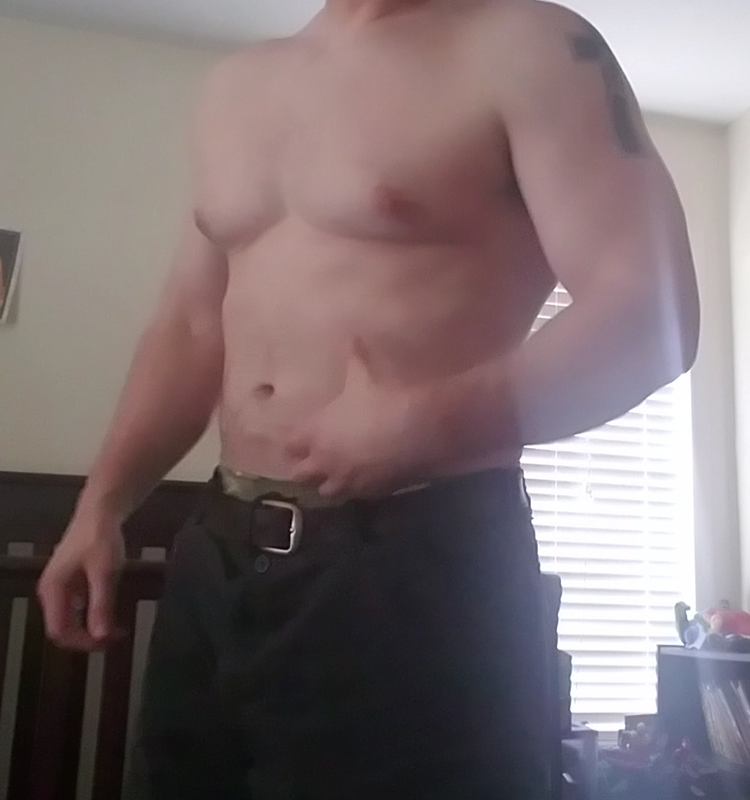 I didn’t measure my body fat at the time, but the before pictures are a pretty good representation of what I looked like when I actually started the program in June. I measured my body fat utilizing body fat calipers and I was approximately 220 pounds and had 18% body fat on June 11, 2017. The after pictures were taken on the morning of October 17, 2017. I weighed approximately 195 pounds and had about 10% body fat. I cut from June 18, 2017 to October 17, 2017. 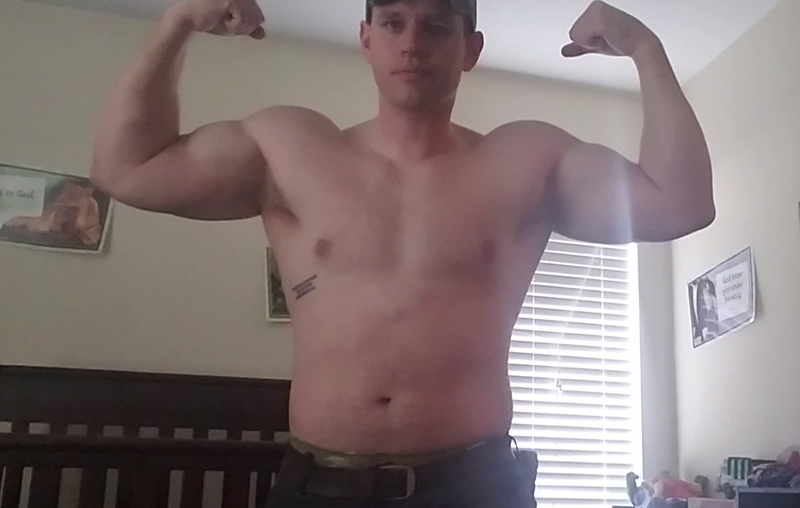 I had about a 9 day break during my 16 week cut where I was out of town on business and really let loose (pizza, burgers, ice cream, and one very expensive, all-you-can-eat seafood buffet). Not counting my 9 day splurge, I’ve been on the program for 113 days. On my journey, I started intermittent fasting about halfway through (16 hours fasting with an 8 hour eating window). 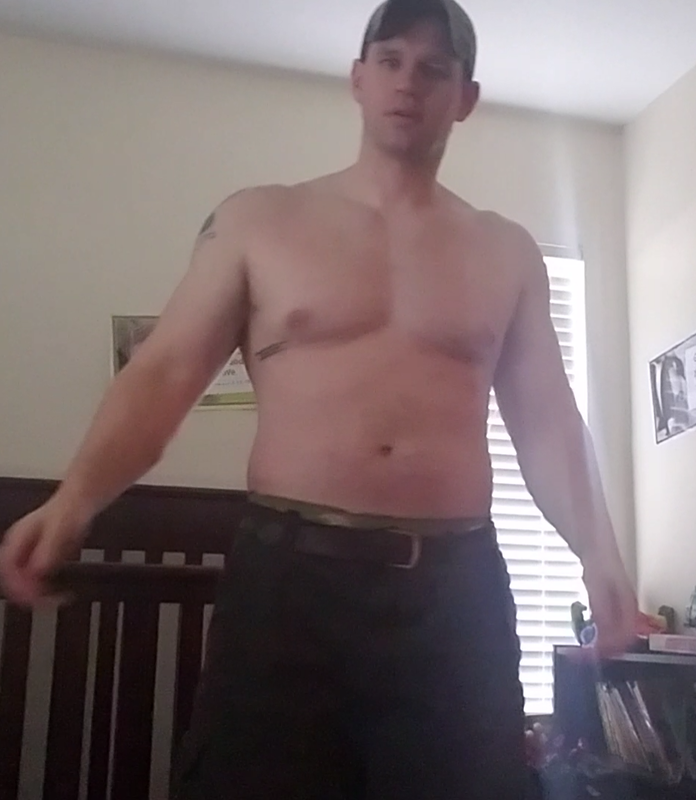 I lost about 25 pounds and roughly 7-8% body fat. I did about 20 minutes of HIIT (sprints and stair climber) 3-4 times per week and heavy strength training 5 times per week. I think I’ve done a decent job of preserving my strength. My all-time PR on bench is 400 pounds and today I feel like could put up a 1 rep max of about 375. I’ve lost a little strength but not much. I can put up about 150 pounds on the military press, about 350 pounds on squat, and at least 350 pounds on the deadlift using wrist straps. Since I love working out, I did heavy lifting 5 days per week. On rest days, I usually did HIIT and an occasional lighter lifting session to work on my lagging body parts. 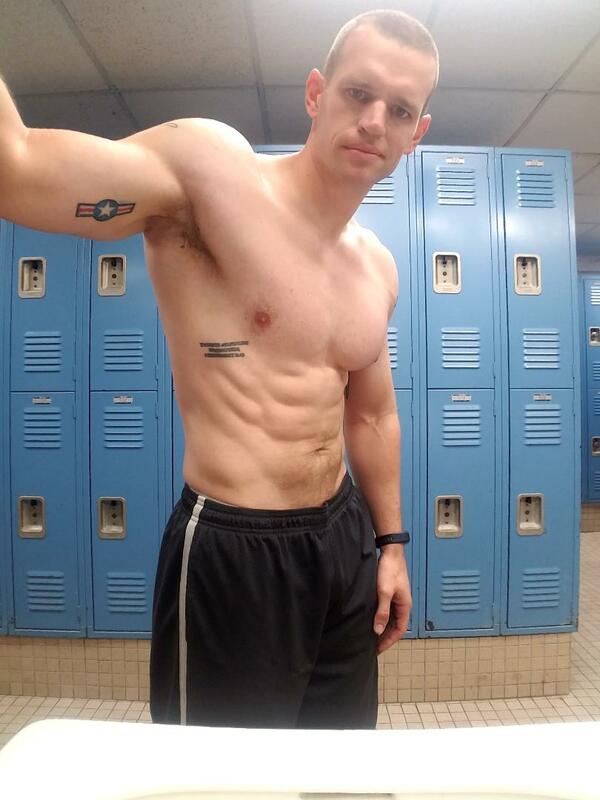 I have a Bachelor’s in Kinesiology and have read a ton of books on fitness. I always had the working out part of the equation down but never had the discipline to really nail my nutrition. I think the biggest challenge wasn’t whether to do the program or not, but deciding to focus on fat loss. 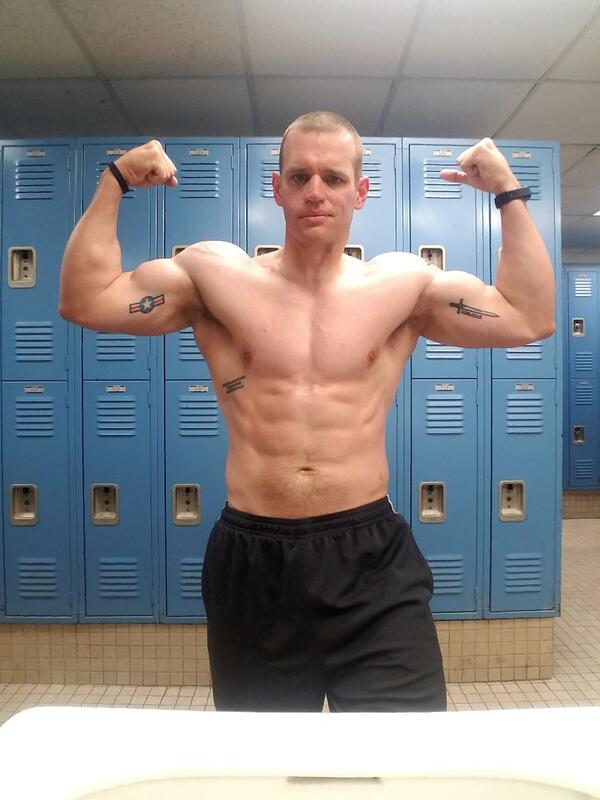 Like a lot of guys, I was terrified of getting “small” or losing muscle. Once I decided to truly commit to to a cut though, I was all in. Mike has put into writing everything I have come to know about fitness and body transformation. Bigger Leaner Stronger just clicked with me–it was straight, to the point, and lined up with my own experiences and research in fitness. The results have been fantastic. I truly believe that you get out of fitness what you put into it. I did have my slip-ups during the program–I was on point with my eating plan about 80% of the time. The main thing for me was that I stuck with it and continually moved forward. 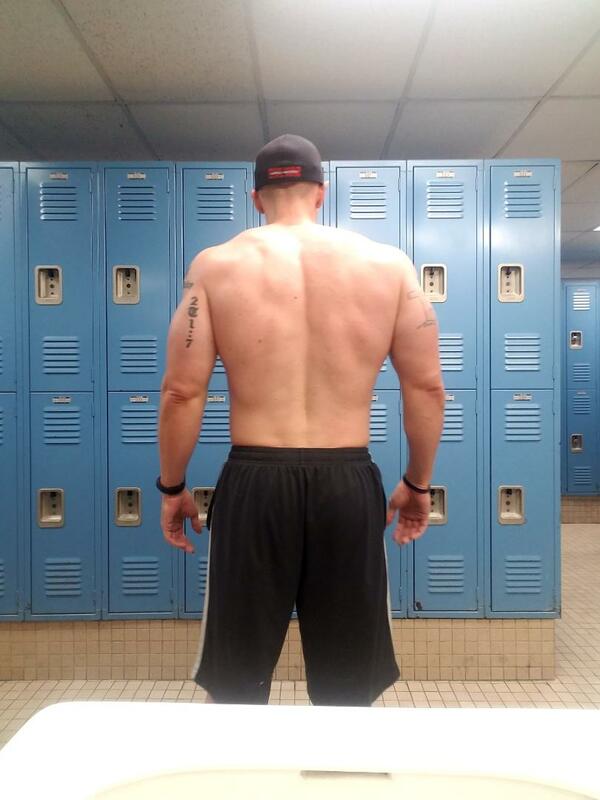 Bigger Leaner Stronger laid the course and groundwork for me to be able to do that. I’ve tried a lot of programs. Bigger Leaner Stronger doesn’t make any unrealistic promises. Change takes consistency, discipline, and time. Bigger Leaner Stronger is different in that it sets you up for a long-term and sustainable change. I’m a military member, seminary student working on a Master’s in Christian Education, father, husband, and part-time police officer. So I’m a pretty busy guy. I’ve always believed that being in the military–being a defender and soldier–meant that you have to work harder than everyone else, especially when it comes to fitness. Every time I step foot in the gym I have to have a “warrior mentality.” I have to work harder than those around me because I’ve dedicated my life to defending them. I did this program not only for me, my wife, and my children, but also to be an example to my fellow defenders and maybe help inspire them, too. As both a Christian and a soldier, I always want to “fight the good fight and run the race” (2 Timothy 4:7). I’d recommend this program to anyone who is serious about making a life-long change because this program has all the tools to set you up for that type of success. I’m just grateful to God for the many blessings He has given me and I look forward to continuing on with this journey. There were days when I didn’t want to get up at 4am to workout. I had to make my body work for me and discipline it. I had to force it into submission and break through those mental barriers that we all face on a daily basis. You just have to get up, press on, and handle business. Don’t give yourself a choice; don’t have an escape route. You have to step into the arena and fight to make a change. I periodically used PULSE and FORGE and would definitely recommend both.